The Newcastle upon Tyne hotels listed below are either in the town or we have given a rough guide as to how far they are from Newcastle upon Tyne. We hope you enjoy your stay and find your ideal accommodation. Easy access to the A1 Western By-pass. Station: NEWCASTLE. 1mile. From South (A1) - take A184 (Gateshead/Newcastle), after approximately 1 mile follow A184 as it splits to the left and goes down to the Redheugh roundabout. Take the third exit (right) towards Gateshead town centre, heading for the Tyne Bridge (A167). Travelodge Newcastle Seaton Burn is ideally located just 10 miles from Newcastle, 8 miles from the Metro Centre, 20 miles from Beamish Museum, 26 miles from Alnwick Castle and 8 miles from Newcastle St James football ground. The car park has 40 spaces free of charge to guests whilst staying in the hotel, available on a first-come first-served basis. This completely non-smoking hotel offers spacious en-suite rooms, TV in every room, tea and coffee making facilities, plus a Little Chef onsite. Station: . . From the A1 northbound, turn off for the Tyne Tunnel (A19). Travelodge is situated at the first roundabout. From A1 southbound take exit for Tyne Tunnel (A19). Please note: check in is from 3pm onwards. Station: NEWCASTLE. 5miles. Travelling by car from West: turn off the A69 onto the A1 (Western bypass). Located on the cosmopolitan quayside, the Copthorne Hotel Newcastle is one of the region's most prestigious hotels. Offering luxurious surroundings and superb facilities, the hotel remains a firm favourite for those on business or leisure. There is a choice of three unique restaurants serving excellent cuisine and a fully equipped gym (with indoor heated swimming pool) plus great leisure facilities. Close proximity to major shopping centres and the Theatre Royal makes this hotel the perfect choice when staying in Newcastle. Station: NEWCASTLE. 1mile. From A1 (Washington services) left hand lane signed A1 Gateshead/Newcastle. Station: NEWCASTLE. 4miles. Travelling by car from the North: head south on the A1(M) and exit A1 at the junction signposted A696 Airport. Take the fourth exit at the roundabout. From South: head north on the A1(M) and exit A1 at the junction signposted A696 Airport. At the roundabout, take the second exit. At the next roundabout, take the second exit again. The hotel entrance is the first road on the right. The Vermont Hotel has an unrivalled position next to the Castle either overlooking the Tyne and Millennium Bridges or the Castle and Cathedral. Newcastle's only independent 4 star Hotel, it offers within its 12 storeys, 101 bedrooms and suites offering maximum comfort, and a selection of restaurants and bars and meeting rooms. Attentive service ensures guests are made to feel welcome and pampered. Located in the heart of the City, the Vermont is only a short walk to the main shopping centre, the theatres, galleries, universities and railway station. Station: NEWCASTLE. 400metres. From the North turn off A1 signposted City Centre A695. Station: NEWCASTLE. 3miles. Travelling by car: from the A1, follow the signs for the Metro Centre. The hotel is adjacent. Situated in a lively area of Jesmond, close to the Metro system route and local bus service. The hotel is only one mile from the city centre. All the pleasant rooms offer guests every comfort and the staff provide friendly yet attentive service. Station: NEWCASTLE. 2miles. From South: on the A1(M) after Washington services fork left onto A1. A modern 3* hotel located opposite Newcastle Airport. The hotel offers 105 tastefully decorated and fully furnished bedrooms all with en-suite, TV, hairdryer, telephone, tea and coffee making facilities. The Old Rangoon restaurant serves continental and traditional dishes including an a la carte menu for those wanting to treat themselves. The Cocktail Bar is more relaxed and serves lighter bites throughout the day until late evening. WiFi is free to all guests and is available in all public areas of the hotel. The Hotel is well situated for visiting the City Centre, with a direct metro link straight into Newcastle city centre. Close by are Bamburgh, Holy Island, The Farne Islands, and other famous Northumberland coastal destinations. Also, within the region are historical areas such as Durham Cathedral, Hexham, Corbridge and Hadrian's Wall. Station: NEWCASTLE. 7miles. A1, A696 to Newcastle Airport. Hotel is situated in the airport complex on the left, opposite the main terminal building. Station: . 1mile. Follow signs from A1 or A194(M) & City Centre. Go over Tyne Bridge. Turn right into Melbourne Street & then right into City Road. The Travelodge is behind the law courts. Please note: check in is from 3pm onwards. Station: NEWCASTLE. 6miles. From A1(M) northbound - take A194 towards Hebburn & Tyne Tunnel, join A19 towards tunnel. Continue through tunnel & turn left at roundabout towards Morpeth & continue north. Station: NEWCASTLE. 200metres. From the South: A1, continue straight ahead onto A184, then onto A189. A modern hotel set in 16 acres of land to the north of Newcastle near the junction of the A1 and A19. Equipped with large air conditioned bedrooms, the Convivium Restaurant, and the Mercury Bar. Treat yourself to a dip in the swimming pool or relax in the sauna or steam room, Or workout in the gym. As well as ample free parking, the hotel's position ensures easy access to Northumbria's and Newcastle's many natural and man-made attractions. The Metro Centre and Eldon Square probably offers the best shopping facilities in Europe. Station: NEWCASTLE. 6miles. The hotel is located at the junction of the A1/A19. Station: CENTRAL STATION. 0.5kilometre. From North and East - follow A167M South towards Gateshead/Tyne Bridge/Millenium Bridge. You will be taking the 6th main exit from through road past Exhibition Park and Military Vehicle Museum. Station: NEWCASTLE-UPON-TYNE. 1mile. Follow signs for The Quayside on the B1600. When on the quayside keep river on right and head for Sandgate. The hotel is within the new Quayside Development Area. Station: NEWCASTLE. 50metres. Air: Located 8 miles from Newcastle Airport, Thistle Newcastle hotel can be reached either by taxi or by taking the underground Metro to Newcastle Central Station located opposite the hotel. Station: NEWCASTLE. . Once in Newcastle - follow the signs for the City Centre, then for the Railway Station. The hotel is located adjacent to the station. Parking is available at the front or the rear of the hotel. Station: NEWCASTLE. 500metres. From South: travel north on A1(M). Pass Granada service station (Washington), follow signs A1 Gateshead/Newcastle. After 4 1/2 miles, take the slip road left signed A184 Gateshead and Newcastle Centre. Follow A6082 and cross Redheugh Bridge. Station: NEWCASTLE. 6miles. Please note: check in is from 3pm onwards. The hotel is situated at the junction of the A19 and the A1058 (Coast Road) on the north side of the Tyne Tunnel. At the roundabout bisecting these roads follow the signs for the Silverlinks Park. Once inside the park the hotel is located off the first exit of the first roundabout. Station: NEWCASTLE. 1.5miles. From M1 from South and North: At Junction 65 on A1 take the slip road A184 Gateshead/Newcastle. Station: NEWCASTLE. 800metres. Sat Nav users may use 'NE1 6NJ' to locate the hotel. The Osborne Hotel is a licensed 22 bedroom hotel with a 2 star rating from Visit Britain. The hotel is situated in Jesmond, 1.5 miles from the centre of Newcastle with it's world renowned night life. Close to the Metro Centre, Newcastle Arena, Hadrian's Wall and the Northumbrian countryside, this hotel in leafy, suburban Jesmond is just minutes from the city centre. Less than a mile (under 1.6 km) from central Newcastle, this new establishment offers a range of accommodation supported by convenient facilities and a secure car park. In the heart of Newcastle, just 500 metres from Newcastle Railway Station, this Holiday Inn Express has a stylish bar and modern bedrooms. Eldon Square shopping centre is a 10-minute walk away. 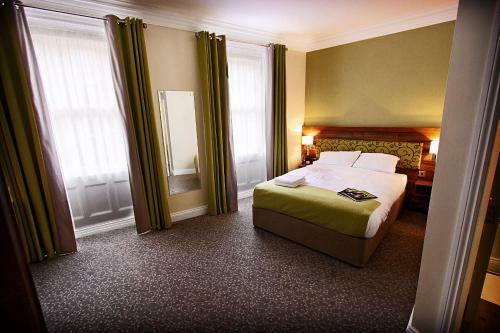 Just 1 mile from Newcastle city centre, the family-run Bentleys Hotel and Coffee Shop offers modern en suite rooms with TVs. Bentleys Hotel offers free private parking. Bentleys Hotel has a guest lounge and a dining room. Opposite Newcastle's Central Rail and Bus Station, this beautifully preserved 19th-century building is now a modern hotel. It offers a restaurant, with lively night life just 100 metres away. The County Hotel by Thistle, Newcastle is just 0. The Corner House Hotel offers comfortable, well-equipped en suite accommodation, free Wi-Fi and free private parking. Discounts offered at local golf and racquets clubs. With free parking and a 24-hour front desk, Metro Inns Newcastle offers budget rooms with free Wi-Fi. The hotel is situated in Kenton Bank, just a 10-minute drive from Newcastle centre. Just 10 minutes' drive from Newcastle's centre, this hotel is directly opposite Hadrian Road Metro Station and only 5 minutes' walk from the Hadrian Leisure Centre. With an airport shuttle, pool and gym, this Novotel is 5 minutes' drive from Newcastle Airport, 10 minutes from the city centre and a 7-minute walk from the Metro station. Located in the lively area of Jesmond, 2 mins walk from the metro station and 1.5 miles from the city centre. The Cairn Hotel is a 2-star hotel with 50 ensuite bedrooms, part of the Cairn Hotel Group. In the vibrant area of Jesmond, New Northumbria Hotel offers free Wi-Fi, free parking, 2 restaurants and 2 bars. Newcastle city centre is close by. Royal Station Hotel is well-located in the heart of Newcastle city centre, adjoining Newcastle Rail Station and the Metro system. It has an indoor swimming pool, fitness centre and free Wi-Fi. Enjoy renowned, warm Geordie hospitality at this privately owned and personally operated family hotel, just minutes from the city centre. In the heart of Newcastle's bustling centre, this Premier Inn is located next to Eldon Square shopping centre. Guests can relax in bright, modern rooms with king-size beds. On the banks of the River Tyne, tucked away in Newcastle's vibrant Quayside scene, this stunning 4-star boutique hotel offers stylish rooms, superb views and a luxurious spa. 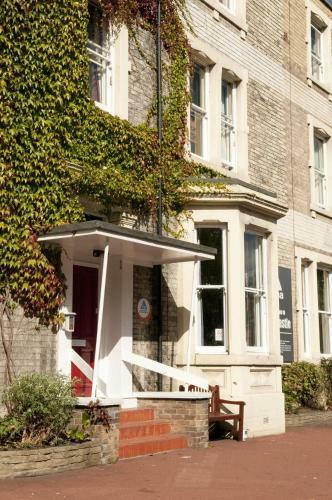 Friendly and welcoming, The Rosebery Hotel is a traditional Victorian family-run bed & breakfast, with free Wi-Fi. Next to Jesmond Dene Park, the city centre is only 5 minutes away. Set in 18 acres of grounds, Holiday Inn Newcastle-upon-Tyne has a health and fitness club and is next to the A19/A1 (North), within easy reach of the beautiful Northumbrian coastline. Surrounded by countryside, The Beamish Park Hotel features an award-winning restaurant and luxury bedrooms with flat-screen TVs. Just 10 minutes from Newcastle, there is free Wi-Fi and free parking. Ideally located in the heart of vibrant Newcastle upon Tyne, these 4-star (Visit Britain accredited) serviced apartments offer business and leisure guests the ideal alternative to a traditional hotel. The Dene Hotel is in Jesmond, a suburb of Newcastle and a 5-minute drive from the city centre. It offers rooms with satellite TVs, home-cooked breakfasts and limited free parking. Rooms Inn offers modern bedrooms and free Wi-Fi, close to Newcastle Central Railway Station and within walking distance of Newcastle city centre. Newcastle College is located opposite. The en suite rooms include a TV and tea/coffee facilities. Awarded the AA Hotel of the Year 2008-2009, this grand house boasts stylish interiors and luxury accommodation in a parkland setting, just 5 minutes' drive from the vibrant city centre. Euro Hostel Newcastle offers modern rooms and generous breakfasts. The hostel is situated in Newcastle centre. The brand new Euro Hostel has spacious rooms with flat-screen TVs. All rooms have a private bathroom with free toiletries. Offering elegant and modern rooms with flat-screen TVs, Best Western Ryokan Hotel is 15 minutes' walk from St James's Park, home of Newcastle United. It features a Punjabi/Italian restaurant and free Wi-Fi. 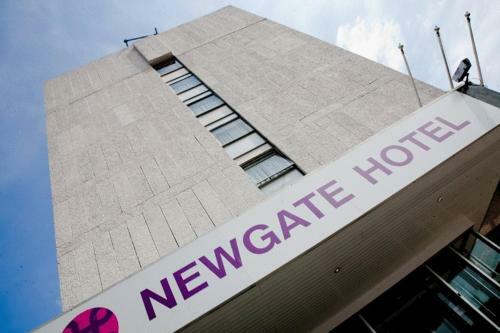 With free parking right in the centre of Newcastle, The Newgate Hotel offers modern rooms with coffee makers. Newcastle's central shopping and nightlife can all be reached within a 10-minute walk. The Vermont is Newcastle's only 4-star independent hotel. Located next to the Castle, overlooking the Cathedral and the Tyne and Millennium Bridges. This great-value hotel is in the city centre, 500 metres from Newcastle Rail Station. It has large and light en suite rooms with air conditioning and power showers. In 12 acres of parkland, in a convenient location just off the A1, this 4-star hotel offers luxurious, modern rooms; award-winning dining; and superb leisure and business facilities. With luxurious rooms and an extensive spa and leisure club, this Village Hotel is 15 minutes' drive from Newcastle city centre. It offers an Italian restaurant and a 25-metre pool. In Newcastle's cosmopolitan Jesmond area, The Kenilworth is less than 1 mile from the city centre. It offers free Wi-Fi, free parking, and its own restaurant serving hearty gourmet food. The Brighton is a long-established guest house within easy reach of city-centre restaurants, bars and nightlife. A warm welcome is offered at The Brighton, where the rooms are clean and well maintained. Located in the heart of Newcastle city centre, Surtees Hotel is 5 minutes' walk from the city's main train station. The bars, restaurants and attractions offered by the Quayside are just 0.2 miles away. Luxury apartments conveniently located in Newcastle's leafy and cosmopolitan suburb of Jesmond, with easy access to major motorways, airports and rail links. Kensington House Aparthotel has 23 serviced apartments. YHA Newcastle is situated within the fashionable district of Jesmond, just 15 minutes' walk from Newcastle's vibrant centre. It serves meals for guests, and includes a shop and luggage storage. With a stylish bistro and sun terrace, Caledonian Hotel offers spacious rooms with free Wi-Fi. The hotel is in the cosmopolitan Jesmond area, just a mile from Newcastle city centre. This modern Holiday Inn is a 10-minute walk from St James Park, and 15 minutes' by metro to Newcastle Airport. It offers an Italian-style restaurant and rooms with free Wi-Fi. With a stylish restaurant, the 4-star Grey Street Hotel offers boutique rooms with luxury linens and freshly ground coffee. The hotel is in Newcastle centre, a 2-minute walk from the Theatre Royal. Well-placed overlooking the River Tyne, the Copthorne Hotel Newcastle is less than a mile from Newcastle Train Station. Guests have free access to an indoor pool, a gym, sauna and health spa. 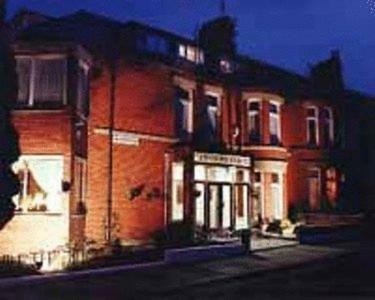 Situated in the lively area of Jesmond, the Carlton Hotel is part of the Cairn Hotel group and has good food, good service, refurbished bedrooms, free Wi-Fi and great rates. Just 10 minutes from Newcastle Railway Station, City Express Aparthotel offers compact apartment rooms with convenient kitchenettes. The individually styled rooms have en suite bathrooms. Close to the city centre and just moments from the Quayside area, these stylish and modern suites are well appointed with fully equipped kitchens, flat-screen TVs and free Wi-Fi. Overlooking the Lyme Valley, this Ramada hotel is in a quiet setting, 3 miles (4.8 km) from Stoke-on-Trent, with the breathtaking scenery of the Peak District a short drive away. You can be assured of a warm welcome, impeccable service and the highest degree of comfort. Conveniently situated on the outskirts of Newcastle-under-Lyme. Set on Newcastle's bustling Quayside, this boutique-style hotel offers free parking, free Wi-Fi, and is just an 8-minute walk away from Newcastle's vibrant city centre. Horton Grange is on the Blagdon Estate, about 3 miles (4.8 km) east of Ponteland, a 15-minute drive from the centre of Newcastle and 4 miles (6.4 km) from Newcastle International Airport.